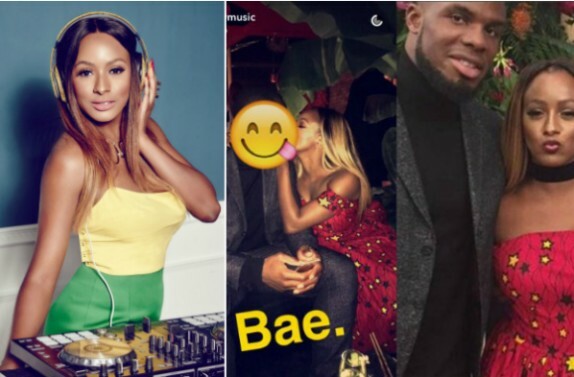 Home / news / Romance / Did Otedola Daughter, DJ Cuppy Just Called Footballer, Victor Anichebe A Fool? Did Otedola Daughter, DJ Cuppy Just Called Footballer, Victor Anichebe A Fool? Getrrout of here. Seriously? According to DJ Cuppy Otedola, her ex-boyfriend is a fool! Which ex are we talking about here guys....???? She revealed this while replying a post that instructed that everyone should describe their ex using ‘ISSA’ – she wrote ‘Issa Ode’. She is rumored to be in an off and on relationship with Nigerian footballer, Victor Anichebe, making it hard to pin point the one with the ‘Fool Chieftaincy title‘.